The Klöckner-Deutz GS 145 resp. 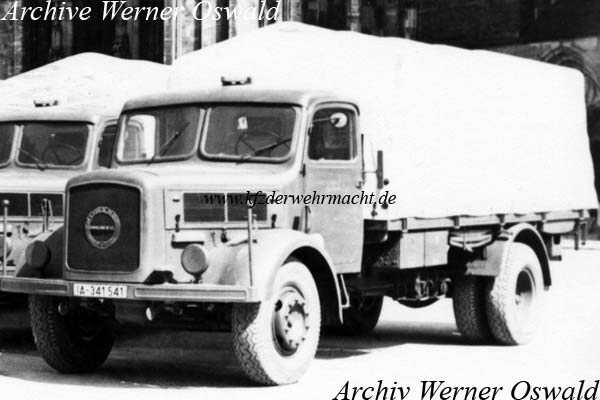 S 4500 arose of a joined development of Henschel, Magirus and Saurer. About 600 to 700 exemplars were made by Magirus. 94 vehicles were equipped with a platform. The rest got fire service superstructures. Most of the platform lorries were delivered to the RAD but some of them were used by the Wehrmacht.